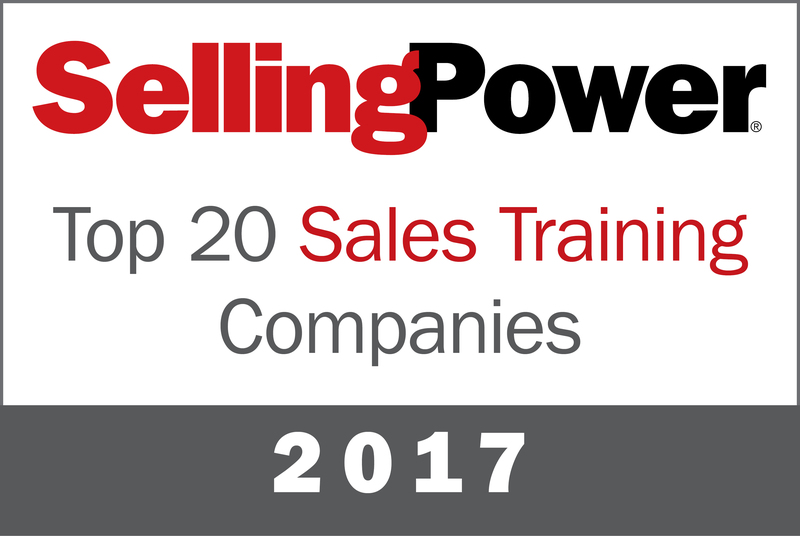 Selling Power is pleased to announce our 2017 listing of the Top 20 Sales Training Companies. Each company on the list submitted a comprehensive application that included a detailed listing of their offerings for both training and retention, innovative solutions and services they have developed, and their company’s unique contributions to the sales training marketplace. Additionally, they had at least four clients submit a brief survey on their experience working with the training provider and their satisfaction with results from the training effort. The summaries below provide a snapshot of each company’s major offerings. We encourage you to visit their Websites and learn more. Based on the applications and customer feedback, the selection committee believes each company included on Selling Power’s 2017 Top 20 Sales Training Companies list has the potential to help your sales team achieve significantly better results – not just for your team and your company’s bottom line, but also for your customers. The Sales Board created the Action Selling curriculum and sales certification system. Action Selling is a full-scale, proactive communications process for planning, conducting, closing, and following up on a sale. It is based on a research-proven conceptual framework, skills, and knowledge that turn selling from an occupation into a profession. Action Selling applies not only to a company's sales force, but to virtually any customer contact situation. Thus, it offers a structure, skill set, and a common language that transforms the entire sales-and-service culture of an organization. To a degree unmatched by any other program, Action Selling merges relationship skills with selling skills in a way that is useful, productive, and easy to apply. Action Selling's certification procedure is the most accountable system for sales development. Founded in 1977, The Brooks Group is an award-winning B2B sales training company focused on providing clients with practical, straightforward solutions to improve and maintain overall sales effectiveness. Comprehensive sales assessments are used to optimize sales hiring, and sales and sales management training programs are customized to meet an organization's specific needs. The Brooks Group's coaching methodology ties together live coaching by an SME, peer accountability, gamification, management participation, and on-the-job application of concepts to guarantee learners have the tools needed to apply concepts quickly and permanently to get stakeholders the results they're seeking. For more than 40 years, Carew International has cultivated its reputation as a top-tier provider of customized sales training programs and for delivering dramatic and lasting performance improvement. Carew takes a holistic approach to sales excellence by addressing the skills, processes, and attitudes necessary to cultivate productive, long-term customer relationships and develop sales professionals who are able to partner with customers as a valued asset. Our team specializes in the development and delivery of high-impact sales training, social selling training, sales leadership training, and customer service training. Our clients are quite diverse, but we take great pride in the consistency of the impact, value, and ROI we provide every client organization. Dialexis operates on the belief that "simplicity lies on the other side of complexity." We are committed to providing the best solutions and resources for sales growth, leadership advancement, and culture shift. Dialexis has been invited into many Ethisphere-nominated organizations due to our ethical standards. Our practices are based upon real-world experience. Our work is simple and quantifiable. We have been given the opportunity to work with Fortune 500 clients that have made a bold commitment to a relationship with Dialexis. Through this joint partnership they have realized significant ROI in leadership and sales performance while Dialexis has experienced the benefit of working with world-class ethical organizations. DoubleDigit Sales is one of the top 20 sales training firms with a client roster ranging from local credit unions to Fortune 500 companies. We specialize in helping salespeople, sales managers and executives perform significantly better to achieve double digit growth. Drawing on our extensive library of proven content and tools, we leverage our streamlined design process to deliver customized and exceptional learning experiences that change behaviors and drive improved sales results. Over time, we have refined our core teachings, always with the aim of making them as simple, practical and useable as possible. Doing our job right means our clients must be able to apply their learning the very next day. After more than 30 years, IMPAX has become a recognized leader in our space due to our intuitive process, focus on execution, global expertise, and measurable client success. Through a robust offering of training solutions, we help clients develop a deeper understanding of their customers' businesses to position ideas and solutions that enable both to grow – elevating them from the competition and driving higher levels of customer partnership. Integrity Solutions helps clients win and keep customers through developing excellence in sales, service, and coaching. While skill building is necessary for performance improvement, it's not the most important part. Where Integrity Solutions steps up is by bringing a salesperson's self-belief, confidence, and achievement drive into the equation – the attitudinal elements that are often the missing link in sales training. Our approach provides information to the brain and engages the heart. Integrity Solutions helps organizations align attitudes and beliefs around a customer-focused strategy so they can increase sales, strengthen customer relationships, maximize productivity, and retain the best talent. We embed our values- and ethics-based approach to sales and service and focus on rapport, relationship building, and trust as critical pillars to sales success. Over the past decade, the world of sales has undergone tremendous changes that often leave sales organizations scrambling to fix what's no longer working and to find solutions to problems they haven't encountered before. Janek Performance Group researches and confronts these challenges daily – and we've made it our mission to stay abreast of dynamic market conditions. We pride ourselves on offering the most comprehensive, state-of-the-art sales training programs that aim to free our customers of outdated habits that are no longer effective. Staying true to this mission at all levels in our organization, our staff is collectively focused on breaking new ground through ongoing research and vetting of best practices in order to innovate and design methodologies that further top performance for our clients. Mercuri International is a global sales training and sales consultancy organization founded in 1960, with an international network that spans more than 40 countries with more than 300 employees and a network of 150 associate consultants. The annual turnover is around $60 million – of which more than 30 percent is generated from internationally coordinated projects for large international customers. Mercuri International provides open courses in a number of countries, but the majority of the business is built on customized in-company sales development projects. Based on the global footprint, number of consultants, size of client base, and the results achieved by clients, Mercuri International is one of the global market leaders in sales development. Miller Heiman Group, a TwentyEighty company, is one of the largest dedicated performance improvement companies in the world, bringing game-changing insight to sales performance, customer experience, and leadership and management. Backed by its Be Ready set of solutions, Miller Heiman Group helps companies build and sustain successful, customer-focused organizations that drive profitable revenue and predictable top-line growth on a global scale. We excel in the areas of consultative selling, insight selling, sales negotiation, strategic account management, opportunity management, and sales management. Our programs are research based with insights from our Center for Sales Research. Our learning system focuses on real behavior change and results. Revenue Storm is best known for its RevenueStorming program, which forever changes the behavior of the sales team—boosting their sales success. Using a methodology backed by science, they get to the underlying behaviors, habits, and relationship building that will support sales professionals in building mutually-beneficial sales strategies for winning new business and growing existing business. There is no "one size fits all" program; their RevenueStorming program is successful because it provides a tailored plan, using the latest scientific and sales tools, to each participant and 1:1 coaching to ensure adoption. Their proven methodologies reveal precisely which deficits should be prioritized first. The Prescriptive Curriculum is agreed, examples tailored for their organization created, and a blended approach is used to enable a sales force to sell differently. Unlocking revenue for our clients is what we do. The key is to transform every buyer experience by empowering sellers with the critical selling skills they need to build trust, demonstrate credibility, and create value. Our methodology combines a market-proven sales and coaching curriculum with an active learning approach that ensures your sales teams learn, master, and apply those behaviors where and when it matters most – in front of your customers. In everything we do, we elevate seller performance by connecting our sales expertise to individual potential, transforming your sales organization into indispensable partners for your buyers. Sales Performance International is a global sales technology, training, and analytics company. We lead organizations into a new world of possibilities to improve sales effectiveness. We set the new standard for sales talent development and enablement. Sales Readiness Group (SRG) is an industry-leading sales training company that helps companies develop highly effective sales organizations. Our solutions include comprehensive sales training, sales coaching, and sales management programs that deliver sustainable skills improvement. 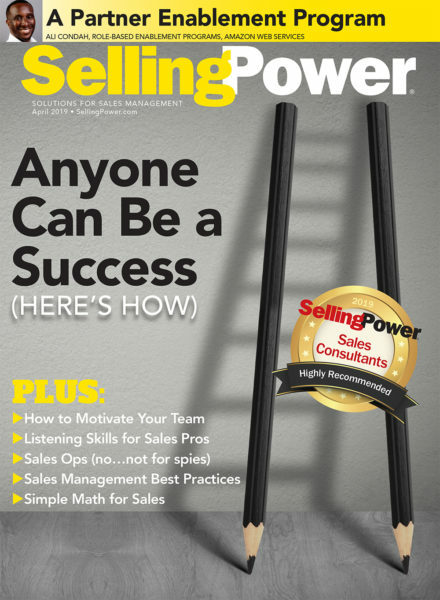 SRG has been in Selling Power magazine's Top Sales Training Companies list for seven consecutive years. Selling Energy, a women-led firm based in the San Francisco Bay Area, delivers award-winning sales training that turbocharges the success of individuals and organizations. Selling Energy fills a critical educational void: providing much-needed sales skills to new and incumbent workers – yielding both economic and professional benefits. Selling Energy is revolutionizing the sales training industry. Mark Jewell, our lead instructor, presents live workshops throughout North America and Europe as well as online/on-demand courses that focus on reframing and expressing proposed solutions so they capture decision makers' attention and motivate action. Selling Energy's training artfully combines professional selling and sales management, advanced approaches to cost/benefit analysis, and segment-specific business acumen and insights that help open more doors and close more sales. ValueSelling Associates™ guides sales managers and their teams in using the ValueSelling Framework®, a proven formula for accelerating sales results. The ValueSelling Framework is the first and only methodology with a toolset integrated throughout the entire sales lifecycle. Since 1991, thousands of inside, outside, direct, and channel sales professionals have adopted the ValueSelling methodology to better qualify prospects, advance bigger contracts, and close deals faster. To drive overall adoption, ValueSelling Associates – proven sales professionals and leaders themselves – tailor the simple, scalable, and sustainable ValueSelling Framework to be relevant to your business, engaging for your teams, and localized to your region. Our highly customized sales training, tools, and consulting services provide a proven formula for accelerating your sales results. Vantage Point Performance is the sales management training partner of choice for leading companies such as 3M, FedEx, GE, Sungard, Roche, and Tyco. The groundbreaking research in our best-selling book Cracking the Sales Management Code – as well as our ongoing study of emerging sales management best practices – form the basis for our simple but powerful frameworks that put sales managers in control of sales force performance. Through better sales coaching, healthier sales pipelines, and more accurate forecasts, our clients unfailingly achieve higher revenue growth. Vantage Point's sales management methodologies simplify sales managers' lives and empower them to lead by providing intuitive, straightforward insights into the levers that drive sales performance. Increasing win rates, growing revenue, and boosting profits and market share are sales issues that drive global companies to seek Wilson Learning's expertise. For 50+ years, we have equipped salespeople, leaders, and sales enablement and support professionals with the strategies, tools, and approaches to address these challenges – delivering high-impact solutions in 50 countries and 30 languages. Our unique blend of proven content, combined with extensive consulting and customization services, coaching, advanced delivery technology, and implementation expertise, ensures sustainable and measurable results aligned to clients' priorities. For example, our work with a global power services company resulted in a $33.5 million revenue increase. Would you ever get into a plane with a pilot who did not know how to fly? Or eat at a restaurant with a chef who did not know how to cook? Amazingly, organizations hire professionals without any business knowledge or experience. And that’s where Advantexe comes in. Advantexe is an award-winning performance improvement organization specializing in business acumen, business leadership, and strategic business selling solutions – all incorporating computer-based business simulations as the catalyst for learning. We partner with leading companies to design, develop, and deliver customized solutions that build the skills to achieve desired business and sales results. To accomplish this, Advantexe provides integrated “learning journeys” that incorporate adult learning methodologies and a learn-by-doing approach to ensure maximum return on training investment. Kurlan & Associates helps companies of all sizes – from more than 200 industries – grow revenue, improve margins, recruit stronger salespeople, and develop high-performing sales organizations. The Kurlan team provides cutting-edge tools, content, coaching, and consulting along with an interactive approach to training with an emphasis on role-play. Unlike traditional sales training companies, Unboxed Technology is a strategic partner that makes the complex simple with a smart mix of custom training and sales enablement solutions that has helped Fortune 500 companies increase YOY sales by up to 60 percent and employee productivity by up to 40 percent. Unboxed’s sales training starts with a unique framework and methodology that’s customized for each client. It blends world-class production with micro-learning to teach reps more in less time. And clients own their training without paying annual licensing fees. 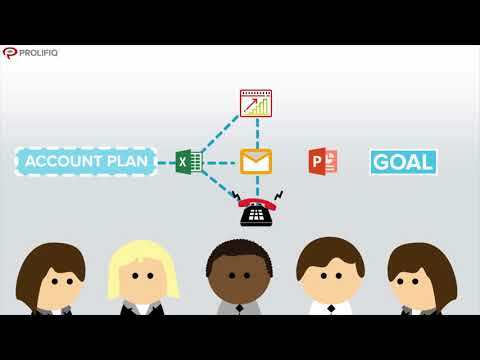 Unboxed’s technology solutions include Spoke – a social learning platform that uses collaboration, gamification, and communication tools to keep employees engaged – and Advisor, a guided selling tool that makes needs-based recommendations and explains complex products and services using interactive demos.